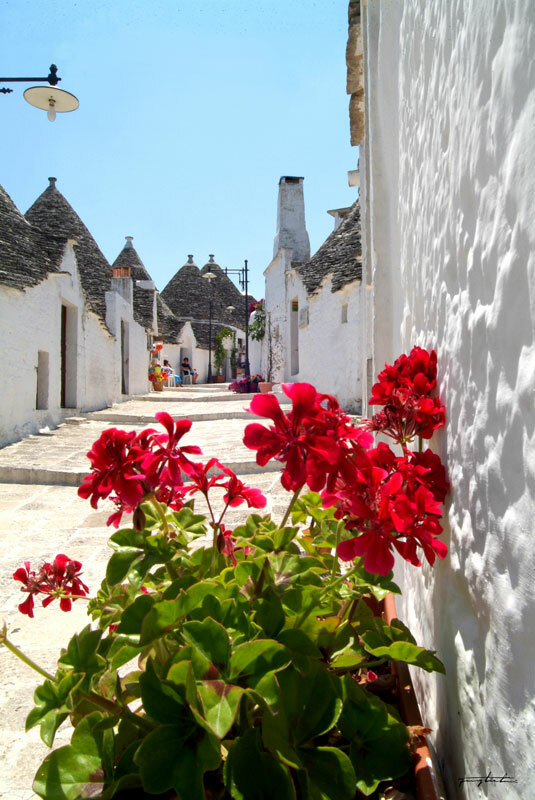 Even though millions of people come to visit Alberobello every year, many still do not know the existence of this little pearl in Southern Italy. 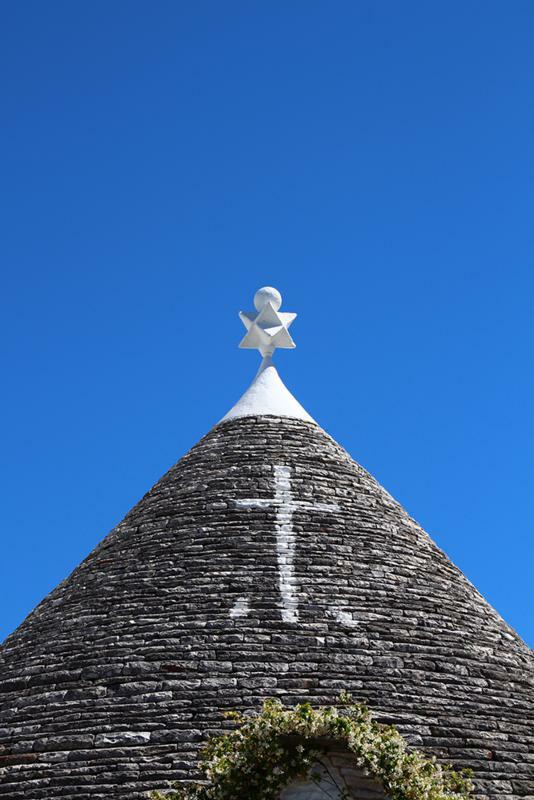 Recognized in 1996 by UNESCO World Heritage, Alberobello is universally known for his Trulli: architectural constructions Unique in the world and extraordinary example of how apparently simple structures can be revealed as the most ingenious. This little town is embedded in the heart of the incomparable beauty of Itria Valley and it has experienced an extraordinary transformation: from a farmer village to a World tourist attraction. Its peculiar characteristics, together with the fact that the dwellings are still inhabited, make the site unique, an exceptional vestige of ancient building techniques in a country recognized as one of the most important regions of the world. “Culture” of a place means both material and intangible aspects, transmitted from generation to generation through language, music, theatre, behaviours, gestures, practices, traditions, customs and many other social forms and cultural rights. 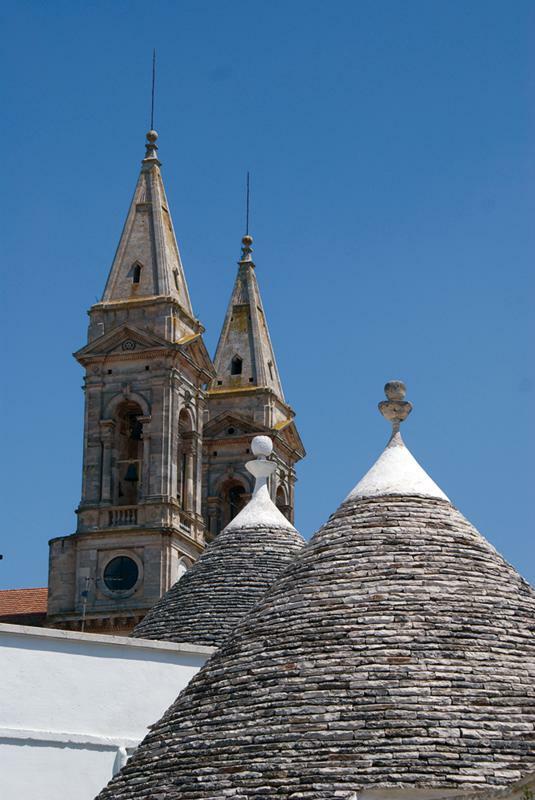 That's why Alberobello has been included in the prestigious World Heritage List for the intangible aspects of its culture. Alberobello is therefore an exceptional testimony of how it survived the past, with its architectural and cultural traditions, in the modern world. the hard manual peasants' labour of limestone, an indispensable process to build the dry-stone made Trulli houses. The legacy of our ancestors makes possible today to live an unforgettable experience. 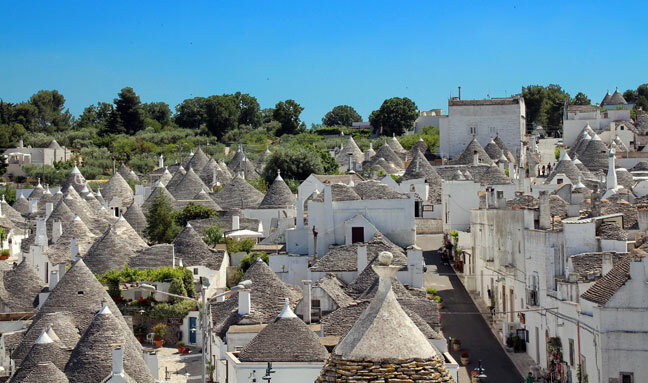 Alberobello Culture: the discovery of the historical monuments in Alberobello may be possible by spending few hours accompanied by a qualified and experienced tour guide. Alberobello Trekking: the outskirt of Alberobello will make you live a unique experience immersed in the rural landscape forged by man with its innumerable olive trees, almond trees, holm trees and vernacular dry stone walls shaping the whole territory. Alberobello cycling: Alberobello boasts a beautiful unpolluted Forest of notable dimensions that you will cross by mountain bike following multiple paths well marked with specific signs. Alberobello food and wine: the varied activities producing typical hand made products of excellent quality will open their doors to tourists, curious to taste them directly on site. Among the other products of our region, tourists will touch the methods of production with their hands extra virgin olive oil, orecchiette, sweet almond, mozzarella and other unique dairy products. The excellent products of our land can be enjoyed indoors Activity dining with the wisdom of Our cook, Able to Interpret always the best quality seasonal different.